72% OPPO Realme 1 review: Pretty good, really cheap! 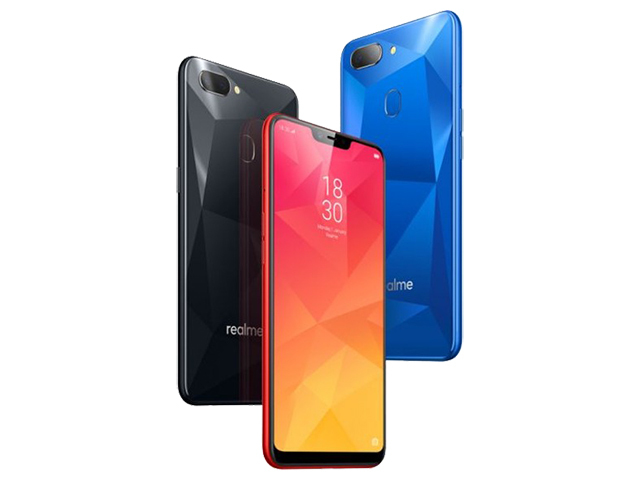 86% Realme 1 review, Solar Red + Diamond Black – really an excellent buy! Just like the original Moto G, the Realme 1 is meant to shake things up, to challenge and mostly to leave a lasting impression on users. Whether or not such marketing is sustainable and can be effective on today's overcrowded smartphone scene is a worthwhile discussion, but one for a different time altogether. The Realme 1 is priced Rs 8,999 for the 3GB RAM, 32GB storage, Rs 10,999 for the 4GB RAM and 64GB storage and Rs 13,999 for the 6GB RAM and 128GB of storage. At this price, the Realme 1 is definitely a steal deal as this is the first time a 128GB storage device is offered below Rs 15,000. Realme 1 offers great performance, stylish design, customizable UI and decent battery performance. But at the same time the Android updates is something which you don’t expect much from Oppo and also the camera performance needs a bit more improvement to compete with Redmi Note 5 Pro which is the current leader in camera. 80% Oppo Realme 1 review: At Rs 13,990, can this beat the Redmi Note 5 in India? Oppo Realme 1 is a serious challenger to the Redmi Note 5. The phone has one of the best cameras in the price range, a good processor and battery that lasts for a day. Thanks to its design, this is a phone that you can flaunt. Realme 1 is without a doubt a worth option in the sub-Rs 15,000 price range that one can consider. The Realme 1 looks boldly different from the rest of the competition. But don't let the good looks fool you. The phone isn't as good a performer as it claims to be and relies heavily on Oppo's technology like AI camera that makes photos look quite artificial. ARM Mali-G72 MP3: Estos procesadores gráficos pueden mostrar únicamente juegos antiguos, fluidamente. Juegos actuales pueden ser presentados con detalles sustancialmente reducidos. 76.49%: Esta evaluación no es convincente. Debe ser considerado que difícilmente existen portátiles que reciben una evaluación abajo de 60%. Esta portátil es evaluada abajo del promedio, esta realmente no es una recomendación para la compra.>> Más información puede ser encontrada en nuestra Guia de compra de portátiles.